Between 1983 and 1987, an estimated 20 000 people from Matabeleland and parts of Midlands Province in Zimbabwe were killed by government forces in an operation code-named Gukurahundi. Since that time no official apology, justice, reparations or any form of healing process has been offered by the government which was responsible for these atrocities. Many people still suffer trauma from the events of this time. This article reports part of a larger research project which investigated whether the survivors of Gukurahundi could heal themselves via participation over time in a group action research project directed at their healing. The present article focuses on the consequences of failing to heal, based on the experiences and attitudes of the participants. We found that to the extent that healing does not occur: trauma is passed on to the next generation, a strong desire for revenge is felt, and high levels of mistrust are maintained towards the ethnic group involved in the massacres. Between 1983 and 1987, an estimated 20 000 people from Matabeleland and parts of Midlands Province in Zimbabwe were killed by state security agents, mostly from the Central Intelligence Organisation and a specially trained battalion of the Zimbabwean National Army, during an operation code-named Gukurahundi (a Shona word meaning ‘the rain which washes away the dirt’). The main purpose was to deal with those thought to have sympathies with Zimbabwe People’s Revolutionary Army (ZPRA, also referred to as ZIPRA) and Zimbabwe African People’s Union (ZAPU), its political wing. 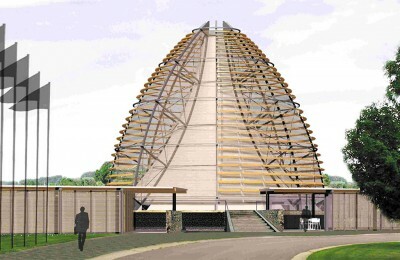 In practice, this involved violence against Ndebele individuals and communities, the story of which has been documented by the Catholic Commission for Justice and Peace (2007). No apology or any form of healing process has been offered by the government. If anything, the government has contributed to ongoing pain by on occasions actively suppressing any such initiatives. As a result, individuals and communities in these areas have never been afforded opportunities to openly talk about their experiences or to seek relief for their painful memories of the past. A companion article (Ngwenya and Harris 2015) has examined the extent to which individuals still suffering from Gukurahundi could heal themselves. Following a participatory action research process which took place over two years, the participants reported that they experienced ‘a measure of healing’. The central objective of this article is to investigate the consequences of failing to heal. There is a surprisingly limited academic literature on healing in Zimbabwe. A search of the Academic Search Complete and Africa-Wide Information databases in early November 2015, using the key words Gukurahundi and healing, resulted in 29 articles of which only a handful proved relevant to community and personal healing. (Using Gukurahundi and reconciliation as key words resulted in 56 articles, some of which were also included in the 29). We are aware of a number of important articles on ethnic issues in Zimbabwe, but judged these as not relevant to the present study. The former group of articles indicate two levels of healing – one for individuals and their communities and another for the national level. First, however, it is necessary to briefly distinguish between forgiveness, healing and reconciliation which are at times used as if they have the same meaning. Forgiveness has been helpfully defined by Kenneth Kaunda as ‘a constant willingness to live in a new day without looking back and ransacking the memory for occasions and resentment’ (quoted by De Waal 1990:77). Forgiveness is a pathway to healing (Smedes 1996) and even when it is not possible for members of victim and perpetrator groups to meet, it is still highly desirable that those who have experienced violence and suffering be given an opportunity to forgive for their own sakes so they can heal and move on with their lives (Villa-Vicencio 2004:202). Reconciliation is a much bigger step, with strong spiritual underpinnings. As Lederach (1997:24) emphasises, it involves a ‘movement away from a concern with the resolution of issues and towards … the restoration and rebuilding of relationships’. 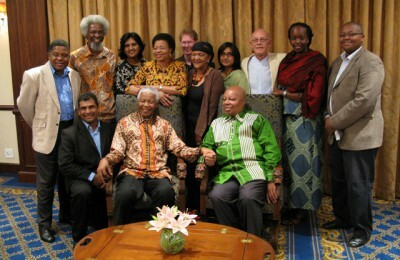 He goes on to develop a model of reconciliation which contains four major components – truth, mercy, justice and peace. Where these meet, suggests Lederach, ‘that place is reconciliation’ (1997:29). It is clear that reconciliation goes well beyond forgiveness and healing, although these are essential parts of it; we may forgive a perpetrator and may be helped to heal as a result and yet have no opportunity, and possibly no interest, in reconciling with them. At the individual and community level, healing can be enhanced by quite specific actions. For example, Eppel (2006) has suggested the exhumation of the victims of Gukurahundi from mass and shallow graves and their re-burial as a way of bringing healing to their living family members and relatives who are often haunted by the fact that their loved ones have not been buried properly. Ngwenya and Harris (2015) identified repressing the truth, continued feelings of fear and insecurity, impunity and lack of an apology as major hindrances to healing. A wider range of factors which would promote healing is apparent from Vambe’s (2012) study, in which he interviewed 315 participants of different ages (both Shona and Ndebele) in five areas in Matabeleland and the Midlands in 2010 to assess their changing perceptions of the impact of Gukurahundi as time has passed. One of his questions – ‘What did you expect the government to do for the people of Matabeleland and the Midlands provinces to bring closure to the trauma and social challenges caused by Gukurahundi?’ – is particularly relevant to the present research. Four options were provided: apologise to the families of the affected, government assistance to families, create employment, foster economic development in the provinces and jail those responsible for the atrocities. Young people aged between 20 and 40 emphasised government assistance to families and employment creation/economic development, while those over 50 – who may have experienced atrocities first hand – favoured the jailing of perpetrators. There was consistency across age groups in wanting an apology and these far outweighed those wanting jail sentences. After we submitted this article for consideration, we became aware of a related article by Murambadoro (2015). She examines the possibilities for reconciliation following Gukurahundi based on interviews with 36 participants, including community members, conducted in the Nkayi District of northern Matabeleland in April, 2014. Her respondents emphasised three actions which would facilitate reconciliation for them: acknowledgement by government of the gross human rights abuses which it had committed from Gukurahundi through to the election violence in 2000, truth-telling (including dialogue between victims and perpetrators and the release of the findings of several commissions of enquiry) and an apology by government to the victims. These findings are similar to those reported by Ngwenya and Harris (2015) as hindrances to healing (repressing the truth, feelings of insecurity, impunity and lack of an apology). 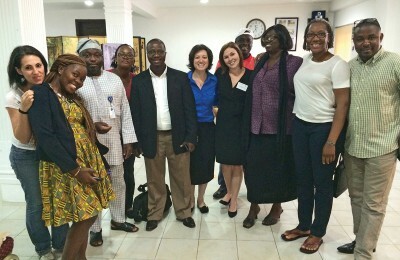 For the present article, however, the research design and the research objective – a participatory action research project conducted over two years concerned with healing using small group processes – are quite different to those of Murambadoro, who used interviews and focus groups at a point of time to study attitudes towards reconciliation. Healing can come about in a number of ways, which are not mutually exclusive: some individuals manage the healing process from their own inner resources; some receive help from family and friends; some are helped by traditional or faith-based rituals; and some benefit from face-to-face counselling. The research reported here is based on another option, where traumatised individuals come together in a group to seek healing. The logic behind it is that the Gukurahundi violence was meted out in communities, and communal healing of memories is crucial where collective traumatisation has taken place. ‘Men, women, and children in traumatized communities must heal together, if they are to heal at all, because their lives are bound up with one another’ (Pintar 2000:64). Healing is necessary not just for the relief of wounded individuals and communities. It is also important in the prevention of future violence which might be caused by survivors taking revenge and passing on their trauma and hatreds to the next generation. 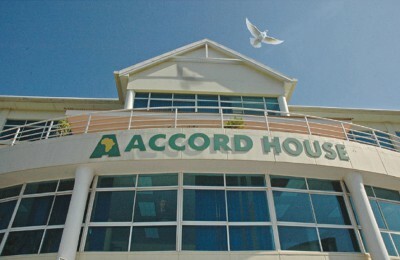 … designed to ensure accountability, serve justice and achieve reconciliation. 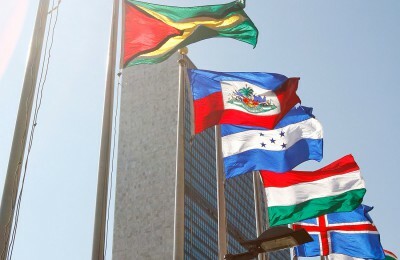 These may include both judicial and non-judicial mechanisms, with differing levels of international involvement (or none at all) and individual prosecutions, reparations, truth-seeking, institutional reform, vetting and dismissals or combinations thereof (United Nations 2004:4). Healing at the national level in Zimbabwe has been discussed by a number of researchers, including Machakanja (2010) and Muchemwa et al. (2013). 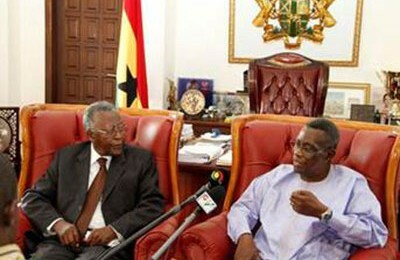 Both point out that such a mechanism almost came into being during the Government of National Unity (GNU) between 2009 and 2013 when the Global Political Agreement that ushered in the GNU provided for the establishment of the Organ on National Healing, Reconciliation and Integration (ONHRI). However, there has been little political will to see this through, and the vagueness and non-specificity of the provision meant that those tasked with the responsibility to implement it were not sure how to go about this task. They also point out that the process was a heavily top-down approach which made it elitist and irrelevant to ordinary people. Machakanja (2010) in particular has criticised the wording of the Article, which according to her is vague and non-committal and fails to adequately address such critical issues of equality, national healing, cohesion and unity. Muchemwa et al. (2013:153) attribute the lack of political will to the fact that many of those responsible for the violence are still in power and as such are not willing to expose themselves to possible actions of recrimination. The provisions of the National Peace and Reconciliation Commission in the New Zimbabwe Constitution (adopted in 2013) are couched in similar language, but there is no indication when the Commission, which has a life span of 10 years from 2013, might be established. A participatory action research (PAR) approach was used because it provides for both knowledge production and action. In the present research, PAR meant that the participants were in charge of the research process, with the first researcher acting as a facilitator. An invitation was extended through the ZPRA Veterans Trust (ZVT) for volunteers to take part in the research, which involved no monetary reward and required long-term commitment. The research findings are based on the experiences and attitudes of nine ZPRA ex-combatants (three females and nine males) and three peace studies students from Solusi University who were acting as interns with ZVT. 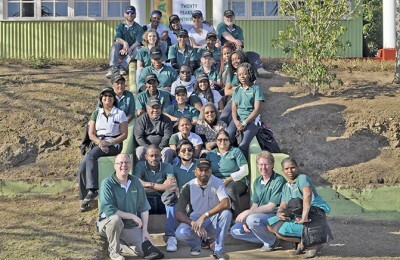 Ethical clearance for the research project was granted by the Durban University of Technology’s ethics committee. The participants’ involvement was confidential and no individual has been identified in reporting the research. Six dialogue sessions were held between January 2012 and May 2014. These interactive sessions, which included group discussions, argumentation and consensus meetings, were the prime tool for data collection. Dialogue typically plays a central role in PAR because participants are thus enabled to better understand their own reality as a result of the critical analysis of their own particular situations and problems. Participants engaged in informative, reflective and interrogative discussions concerning their experiences and actions during the sessions, and were able to devise solutions or actions. The discussions were held in a mixture of isiNdebele and English which were recorded (with the permission of the group) and later transcribed to facilitate data analysis. One limitation of this way of capturing data is the loss of much of the nonverbal aspects of the conversations which usually add a critical dimension to the understanding. Having a transcribed record of the discussions was important because these could be shared with the participants, not only for their records and use, but also for verification purposes. In addition, a Tree of Life workshop (a therapeutic three-day workshop, on which see Reeler et al. 2009 and Templer 2010) and a half-day writing workshop were also held, both being actions requested by the group. As ex-combatants, the participants were politically conscious and generally not afraid to express their views and discuss their experiences. On the whole, the discussions were genuine and frank and the discussions were frequently very robust, as is evident from the quotations reported below. Although an inductive content analysis was used, an a priori theoretical framework and personal interests and preconceptions influenced the approach to the analysis. This carries a risk that researcher bias might influence results and conclusions reached. In PAR, one of the ways to guard against this is to ensure that there are ‘appropriate communicative structures in place throughout the research and action which allow participants to continue to associate with and identify with the work of the collective project change’ (McTaggart 1998:225). In the final analysis, the extent to which participants identify with and feel they truly own both the process and the final product is the crucial indicator of validity. The preliminary results of the research were brought to the group for verification and discussion, and the final results incorporate a number of comments made at this stage of the research. The participants were clear that a lack of healing carried negative consequences for an individual, their community and the country in general. They specifically identified the intergenerational transmission of trauma, a desire for revenge, a mistrust of the government and a sense of guilt for ‘failing’ their communities. Within virtually every large group there exists a shared mental representation of a traumatic past event during which the large group suffered loss and/or experienced helplessness, shame and humiliation in a conflict with another large group. 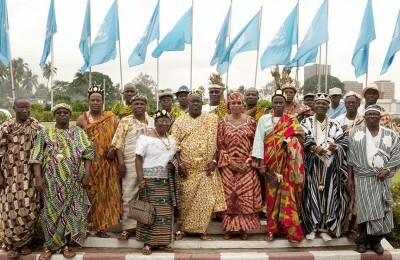 The transgenerational transmission of such a shared traumatic event is linked to the past generation’s inability to mourn losses of people, land or prestige, and indicates the large group’s failure to reverse … humiliation inflicted by another group, usually, a neighbour, but in some cases, between ethnic or religious groups within the same countries. According to Kogan (2012:6), there are two mechanisms by which transgenerational trauma is transmitted. The first is ‘primitive identification’, which refers to the child’s ‘unconscious introjection and assimilation of the damaged parent’s self-images through interaction with that parent’. That is to say, the child unconsciously incorporates into its own psyche the parent’s ideas, apparently in an attempt to heal the parent and to help him/her recover. However, this identification leads to a loss of the child’s separate sense of self and to an inability to differentiate between the self and the damaged parent. The second mechanism is ‘deposited representation’, which emphasises the role of the parent, who unconsciously or consciously forces certain aspects of themselves on to the child. In so doing, the parent affects the child’s sense of identity and passes on certain specific tasks to the child to perform. In a sense, the children become ‘reservoirs for the deposited images connected to the trauma’ and as a result, ‘the children are compelled to deal with the shame, rage, helplessness, and guilt that the parents have been unable to work through for themselves’ (Kogan 2012:7). The group tended to lean towards the second mechanism. It appeared that for the students in particular, parents had shared their stories together with the pains that go with them. Whether there was a deliberate attempt on the part of their parents to deposit their representation or not was difficult to determine but the end result was the same as that described by Kogan. Statements such as: ‘It becomes painful for us when our parents tell us of their experiences during Gukurahundi’, and ‘It has an effect when our parents narrate how it took place’, or ‘Sometimes you also end up feeling the pain’, seem to confirm Kogan’s second mechanism. Their assertions concurred with Kogan in another respect – that of children feeling compelled to act on behalf of their parents. Describing his feelings, a male student intern, put it this way: ‘I feel pained and my heart struggles. I fail to think as a human being. I become evil in a way’. Another male student added: ‘It becomes a cycle of violence if there is no healing. The youth are seeing it as a matter of family honour to avenge their parents’. Later on during the same discussion, the second intern went further, saying, ‘This anger which is transferred will be from my father or mother to me – It’s not one time, it’s two times. It is no longer the same; it becomes worse than my parents’. These observations concur with those of Weingarten (2004:52) who wrote that ‘children who see, know, or intuit that their parents or grandparents have been humiliated are particularly vulnerable to developing retaliatory fantasies. When one generation fails to restore social and political equality, this failure forms the next generation’s legacy’ (see also Fromm 2012; Belnap 2012). On the part of the older generation (the ex-combatants), there seems to have been a conflict between the desire not to taper the pain and hurt, and the realisation of the negative impact the transmission process might have on the next generation. The dichotomy between the urge to deposit their failed retaliatory fantasies on their children, and the desire to spare them pain, was fascinating to observe. For instance, one of the most vocal proponents of this idea declared that ‘It is painful if we can’t get an apology, but we will pass that to the next generation. We will not bury it; we will pass it to the next generation’. In a later discussion, however, he seemed concerned about the negativity of burdening the next generation when he said ‘When I saw Bill Clinton’s quote in your office [which reads “Those who cannot let go of the hatred of their enemies risk sowing the seeds of hatred within own their communities”], I identified with it. [The fact that I] … might pass this hatred to my community … was really alive to me’. Even so, a short while later in the same conversation, he was once more adamantly saying ‘Let’s pass it to the next generation. If we can’t do anything now, maybe the next generation…’. There then ensued a discussion in which the first author pointed out that while he had no problems with passing on the history of Gukurahundi to the next generation, his concern was that it should be done in a way that did not cause trauma in the younger generation. This led to the following interchange between two participants which illustrates the desire to tell it like it was and thus incriminate the perpetrators in the eyes of the next generation, and the desire not to be a cause of ongoing enmity. B: … I agree that indeed someone is really out to kill us at this time and that such people should not be tolerated. [But] we are saying we shouldn’t inspire anger and hatred in the lives of future generations. B: … because it would leave the whole country in continuous turmoil … You want to tolerate, at the same time you want to recriminate, but I think we need to find space in between the two approaches (italics added). Most participants were quite open in talking of their desire to exact some form of revenge upon the perpetrators of Gukurahundi, as illustrated by statements like ‘We need revenge’, ‘Given a chance, I would also inflict the same pain’ and, ‘The best is to do the worst [to them]’. Such views encompass both private revenge and public revenge, the latter being typified by statements such as ‘These people must face retribution; they must face the law’. However, participants seem to make no clear distinction between revenge, justice and punishment and these terms were used interchangeably. While a few had specific individuals in mind, by and large the indication was that vengeance would be targeted at ordinary Shona. It seems that when people have no outlet to express their hurts and anger, they will channel their revenge or desire for revenge against innocent members of the group from which the offenders originate (see Botcharova 2001). This phenomenon is similar to displaced aggression theory in psychology, wherein the target of the aggression is not the source of the initial harm, and is usually less powerful than both the initial offender and offended. As could be expected, different definitions of revenge have different emphases. Rosebury (2009:4), for example, defines revenge as ‘a deliberate injurious act against another person which is motivated by resentment of an injurious act or acts performed by the other person against the revenger or against some other persons whose injury the revenger resents’. Stillwell et al. (2008:253) have a somewhat different emphasis when they define it as ‘an aggressive act that is often justified by the pursuit of equity’. These definitions reflect elements of what the participants mentioned in our discussions on revenge. First of all, there was resentment of the wrong done to the participants. As Gollwitzer et al. (2011:364) explain, the desire to avenge is ‘directly tied to our moral intuitions and our subjective notions of justice and deservingness’. Participants certainly exhibited a sense of indignation and unfairness regarding the wrongs visited upon them during Gukurahundi and their sense of injustice was all the more, given that this transgression was committed by a government that was meant to protect them and by people with whom they had fought to liberate Zimbabwe. They strongly felt that they had done nothing to deserve the treatment they had received; these acts were not only injurious to them but were also morally unjustifiable. Three points stand out in explaining why survivors can be drawn towards the need to avenge their suffering. The first is what Worthington (2006) calls the ‘injustice gap and its appraisal’. Participants have had a long time to ruminate over the wrongs that were done to them; and the more a person does this, the more the actions seem unjust and the angrier they become. Naturally, people who have a healthy self-respect tend to resent moral injuries done to them. In this regard, ‘retributive feelings can be synonymous with self-respect because they demonstrate that survivors take their rights seriously’ (Aldana 2006:117). One who fails to be at least offended by such acts is lacking in self-respect. For the younger participants, their desire for revenge seems to be premised on their ‘affronted sense of honour’ (Rosebury 2009) as a result of their parents’ suffering. Second, participants seemed to identify an ’emotional asymmetry’ caused by the fact that the perpetrator is enjoying life while the survivors are suffering. According to Gollwitzer et al. (2011), the offence causes an imbalance between the perpetrator and the survivors, which the survivors try to reduce by wanting the perpetrator to experience an appropriate amount of harm or suffering. Third, there was a degree of humiliation felt by most participants, perhaps exacerbated by the fact that ZPRA ex-combatants have always viewed themselves as having been better trained and possessing better skills than their Zimbabwe African National Liberation Army (ZANLA) counterparts. And their suffering at the hands of ‘ill-trained’ soldiers only served to ‘rub salt into the wound’. This point coheres with Goldberg (2004:25), who points out that feelings of humiliation or shame are powerful motivators of reprisal, and that it is harder to forgive an injury to one’s pride than any other form of injury to oneself. For the younger participants, their desire for revenge was tied to the obligation they felt to avenge their parents’ humiliation. This is because ‘Children who see, know or intuit that their parents or grandparents have been humiliated, are particularly vulnerable to developing retaliatory fantasies. When one generation fails to restore social and political equality, this failure forms the next generation’s legacy’ (Weingarten 2004:52). In addition, the mourning mechanisms of the previous generation, which are necessary for the repair of loss, no longer provide relief to the younger generation and lead to them experiencing all life as loss. This contributes to the transfer of destructive aggression from the older to the younger generation. It therefore is no surprise that both younger and older participants felt quite strongly about the need for revenge. It was not very clear what participants expected the end result of revenge to be, but here seemed to be two purposes in mind. One had to do with trying to restore a sense of justice through proportional compensation from the perpetrator, what Jackson and Gerber (2013) have termed ‘just deserts’. Participants said, for example, ‘If you kill someone and then you are sentenced to death, that’s a sort of revenge’ and, ‘I think we need retributive justice whereby a criminal should go through the same pain I went through’. At the same time, they also seemed to express vindictiveness and a desire to ‘get back’ at the offender and make him suffer for the offence. This was exemplified by a participant who stated ‘I would love to see these people punished… The best is to have this thing solved by punishment… there must be retribution of some kind’. Given the injustice gap, the desire for revenge seems to be the default response to any act deemed to be unjust by the recipient of that act. Indeed, this desire to retaliate is a universal phenomenon found in both human and non-human primates across all ages and cultures (Gollwitzer et al. 2011), and it probably is the reason why there are laws governing revenge in the Old Testament. In Numbers 35, God instructed the Israelites to set up cities of refuge to which those who killed another person accidentally could flee; once there, an avenger could not touch the person. The ‘eye for an eye’ principle set out in Leviticus 24 recognises the ubiquity of revenge but attempts to limit its extent. It is hard to know what any of the participants would have done, had they indeed been given an opportunity to take revenge. Placing the discussion on revenge within the context of the whole research, there is not much suggestion that participants would in fact retaliate given the opportunity to do so, which suggests that their talk about revenge was an expression of frustration at their feelings of helplessness and powerlessness. A hypothesis advanced by Goldberg (2004:5–6) and Gower (2013) is that these vengeful desires, while real, remain in the realm of fantasy and help to limit and balance the effects of destructive drives by directing them away from the self; revenge is thus part of the healing process of hurt and anger. So, when the desire for revenge remains on the level of fantasy, it serves several constructive psychological functions as it allows us to work with and to master the feelings of revenge. ‘Being able to fantasise the ways in which one might redress and avenge hurtful acts is a great outlet and a discharge for aggression: a way of acting without acting‘ (Gower 2013:115, italics added). At the same time, the inability to imagine and fantasise can be very problematic and might lead to action in order to release aggression and get relief. In our case, this might well apply more to the younger generation because of the pressure of expectations placed upon them. This was highlighted by one participant when he said, ‘…people get educated nowadays at schools and start asking questions on the reasons for Gukurahundi. When they look for information, it makes them feel angry … People will stand up at some stage and say, “Come on man, let’s confront this system”‘. What I see is that this thing will never ever get out of my mind and if everyone had the same thinking like me it was going to be something else. But, thank God, we are different, because if they had the same mind like me, this is the recipe for a civil war. But we are not ready for that because I know it’s got more impact further on. But let’s rather try to talk over things because ‘an eye for an eye’ will leave everyone blind. I am no longer sure who said that. I think that we need retributive justice whereby a criminal should go through that same pain that I went through. Given a chance I would also inflict that same pain that I have to the next person, but I would not want to do that because of the way I was raised and the way I believe things should be… (italics added). Participant 1: A case in point is [Minister] Mzila’s1. Two days ago in Hwange, a lot of people went in support… They could not fit in the court room, they were pushed away and they remained singing emotional songs outside, saying we were killed, when we try and talk about it we get arrested. You know it stings a part of the body, people in Matabeleland North – they are very angry right now about it … This thing is a problem. We are living a fake life. We are living on borrowed time. We need revenge. Dumisani: What form of revenge, should we also go and kill someone? Participant 2: To make them disappear, feel the pain, equitably? Participant 1: Yah, A tooth for a tooth and an eye for an eye. In this case, Participant 2 acted as the external voice of reason. But what is interesting is that he, in one of the previous dialogues, had indicated his willingness to ‘bring down’ a certain individual who had not only caused him personal grief, but had also presided over the death of a friend while he watched helplessly. Perhaps it is easier to appreciate the negativity of revenge from a distance. It seems that pain might to some extent cloud one’s moral judgement as one becomes consumed by the injustice of the act perpetrated against him/her. For some participants, these dilemmas were raised by their Christian beliefs. The Fifth Brigade [the army unit which carried out most of the violence] used to come to Gwanda with people who knew how to speak isiNdebele. So the elders now don’t know whether these people were Ndebele people or people who only knew how to speak it. [So community members may] no longer be sure but think, ‘Maybe while you were not here, you were also somewhere else doing the same’. Last year we visited Tsholotsho. A certain lady said, ‘Amongst you, there might be one of them because they are still there but we don’t know them’. Although they made light of this concern, it seemed it was a real issue. 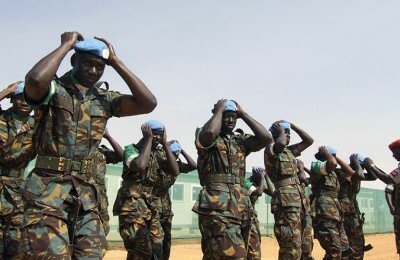 They emphasised that during their ZPRA training, they had been taught to respect civilians as they were their lifeline. These suspicions and accusations levelled against them by some community members led to some developing a sense of guilt for having failed their parents and their communities. One expressed this concern succinctly when he told the group that, whenever he visits, people in his home area ask ‘Why did you let our people be killed whilst you were there?’ He commented ‘I don’t know how to answer that, I feel I betrayed them’. Behnia (2004) posits that many survivors of war and torture often feel guilty that they are alive and well. He points out that the extreme situations of war and torture call into question connections such as kinship, friendship and a sense of community that link individuals to each other. What this indicates is that the participants already carried a burden of guilt; having their communities accuse them in this manner, only served to increase these negative feelings. Endress and Pabst (2013:90) explain that ‘violence captures the experience of human vulnerability and the power to violate others. Being violated affects one’s capacity to encounter others and the world as well as one’s self-understanding and potentiality to act, experiences of violence lead to a fundamental shattering of trust’. This mistrust is not only held within an affected community, but is also strongly experienced towards the perpetrators and has led most people in Matabeleland to dissociate themselves from anything to do with the government. As one participant observed, ‘They [the people of Matabeleland] are now isolated … They have found solace in South Africa. They don’t want anything to do with the government. They don’t want to join the army. They don’t want to join the police’. Ross (2011) argues that this attitude is driven by the belief that it is safer to keep a distance from others. To him, ‘Mistrust makes sense where threats abound, particularly for those who feel powerless to prevent harm or cope with consequences of being victimised or exploited’. Trust has also been affected by those past experiences. The police have become enemies and they are no longer protecting our lives. Why? Because most police speak Shona and they have been used to perpetrate violence, especially during elections. When there is violence, the parents at home feel angry and would say, ‘This used to happen before and it’s continuing’. As [another participant] has mentioned, Gukurahundi is continuing so hatred is still there. Mistrust is self-fulfilling, in the sense that people will always find evidence that justifies to them why they should never trust the perpetrators again. This article has focused on one aspect of a larger research project on the possibility of healing, from the experiences of Gukurahundi between 1983 and 1987. Drawing on the experience of a small group of survivors, the lack of healing results in the need to pass the story on to the next generation (while not at the same time wanting to cause them pain), a desire for revenge (but some suggestion that an opportunity for actual revenge might not be taken) and mistrust (from their communities towards the survivors and, more importantly, from the survivors and their communities towards the government). The desire for revenge, it might be noted, is not likely to diminish over time. As Weingarten (2004:52) notes, ‘When groups are humiliated and must swallow their resentment, the desire for revenge builds’. These are formidable negative consequences and clearly point to the importance of healing work to be undertaken. The government has the resources to support such healing but has thus far shown no inclination to do so. 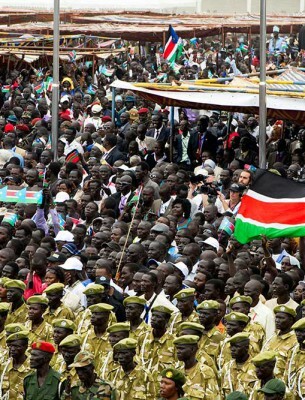 The establishment of the Organ on National Healing, Reconciliation and Integration seems to have become an exercise in window dressing, with little obvious outcome. The work of civil society organisations like Tree of Life offer the prospect of some measure of healing but the numbers who can be helped by such organisations are small. Aldana, Raquel 2006. 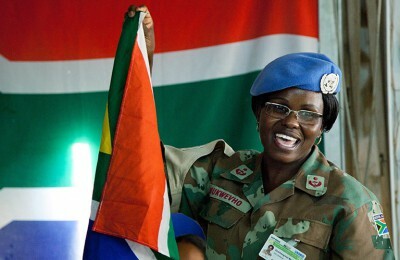 A victim-centred reflection of truth commissions and prosecutions as a response to mass atrocities. Journal of Human Rights, 5, pp. 106–126. Behnia, Behnam 2004. Trust building from the perspective of survivors of war and torture. Social Services Review, 1, pp. 26–40. Available from: <http://www.jstor.org/stable/10.1086/380768> [Accessed 6 June 2014]. Belnap, Barri 2012. Turns of a phrase: traumatic learning through the generations. In: Fromm 2012. Botcharova, Olga 2001. Implementation of track two diplomacy: Developing a model for forgiveness. In: Helmick and Petersen. Catholic Commission for Justice and Peace 2007. Gukurahundi in Zimbabwe: A report on the disturbances in Matabeleland and the Midlands 1980–1988. 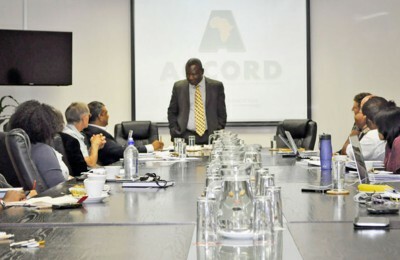 Johannesburg, Jacana Media. De Waal, Victor 1990. The politics of reconciliation: Zimbabwe’s first decade. London, Hurst & Co. and Cape Town, David Philip. Endress, Martin and Andrea Pabst 2013. Violence and shattered trust: Sociological considerations. Human Studies, 36, pp. 89–106. Eppel, Shari 2006. Healing the dead: Exhumation and reburials as a tool to truth telling and reclaiming the past in rural Zimbabwe. In: Borer, Tristan Anne ed. 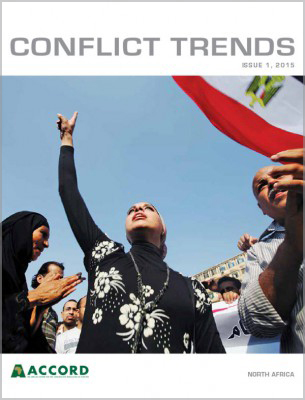 Telling the truths: Truth telling and peace-building in post-conflict societies. Notre Dame, IN, University of Notre Dame Press. Fromm, M. Gerard 2012. Lost in transmission: Studies of trauma across generations. London: Karnack Books. 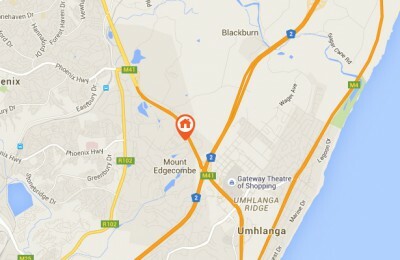 Available from: <http://site.library.com/lib/durbanut//docDetail.action?docID=10516094> [Accessed 29 May 2014]. Goldberg, Jane G. 2004. Fantasies of revenge and the stabilisation of the ego: Acts of revenge and the ascension of Thanatos. Modern Psychoanalysis, 29 (1), pp. 13–21. Gollwitzer, Mario, Milena Meder and Manfred Schmitt 2011. What gives survivors satisfaction when they seek revenge? European Journal of Social Psychology, 41, pp. 364–374. Gower, Maxine 2013. Revenge: Interplay of creative and destructive forces. Clinical Social Work Journal, 41, pp. 112–118. Helmick, Raymond G. and Rodney L. Petersen 2001. Forgiveness and reconciliation: Religion, public policy and conflict transformation. Radnor, PA, Templeton Foundation Press. Jackson, Jonathan and Monica Gerber 2013. Retribution as revenge and retribution as just deserts. Social Justice Research, 26, pp. 61–80. Kogan, Ilany 2012. The second generation in the shadow of terror. In: Fromm 2012. Lederach, John Paul 1997. 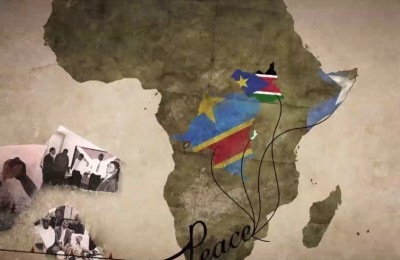 Building peace: Sustainable reconciliation in divided societies. Washington, D.C., United States Institute of Peace. Machakanja, Pamela 2010. National healing and reconciliation in Zimbabwe: Challenges and opportunities. Cape Town, Institute for Justice and Reconciliation. McTaggart, Robin 1998. Is validity really an issue for participatory action research? Studies in culture, organisations and societies, 4, pp. 211–236. Muchemwa, Cyprian, Emmaculate Tsitsi Ngwerume and Mediel Hove 2013. When will the long nightmare come to an end? Challenges to National Healing and Reconciliation in post-colonial Zimbabwe. African Security Review, 22 (3), pp. 145–159. Murambadoro, Ruth 2015. ‘We cannot reconcile until the past has been acknowledged’: Perspectives on Gukurahundi from Matabeleland, Zimbabwe. 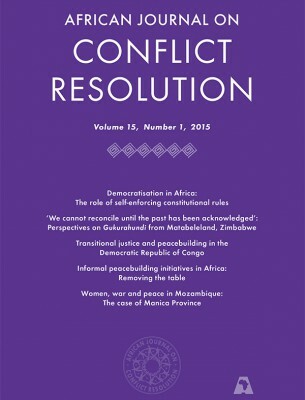 African Journal on Conflict Resolution, 15 (1), pp. 33–57. Ngwenya, Dumisani 2014. Healing the wounds of Gukurahundi: A participatory action research project. Doctoral thesis, Durban University of Technology, Durban. Ngwenya, Dumisani and Geoff Harris 2015. Healing from violence: An action research project among survivors of Gukurahundi, Zimbabwe. Peace and Security Review, in press. Pintar, Judith 2000. Anticipating consequences: What Bosnia taught us about healing the wounds of war. Human Rights Review, January–March, pp. 56–66. Reeler, Tony, Kudakwashe Chitsike, Fungisai Maizva and Beverly Reeler 2009. Tree of Life: A community approach to empowering and healing survivors of torture in Zimbabwe. Torture, 19 (3), pp. 180–193. Available from: <http://www.ncbi.nlm.nih.gov/pubmed/20065537> [Accessed 24 March 2014]. Rosebury, Brian 2009. Private revenge and its relation to punishment. Utilitas, 21 (1), pp. 1–22. Ross, Catherine E. 2011. Collective threat, trust, and the sense of personal control. Journal of Health and Social Behaviour, 52 (3), pp. 287–296. Smedes, Lewis 1996. Forgive and forget: Healing the hurts we don’t deserve. San Francisco, CA, Harper. Stillwell, Arlene M., Roy F. Baumeister and Regan E. Del Priore 2008. We’re all survivors here: Toward a psychology of revenge. Basic and Applied Social Psychology, 30, pp. 253–263. Templer, Sara 2010. Integrity of process: How Tree of Life is taking root in Zimbabwe. 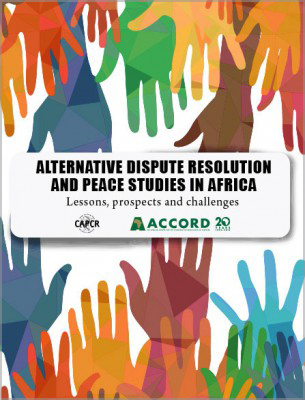 Africa Peace and Conflict Journal, 3 (2), pp. 106–112. 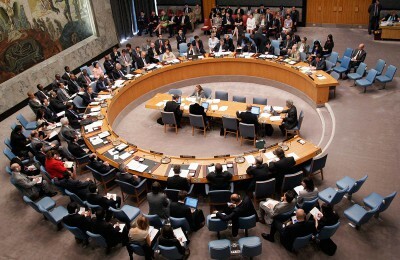 United Nations (United Nations Security Council) 2004. Report of the Secretary-General on the rule of law and transitional justice in conflict and post-conflict societies (S/2004/616). 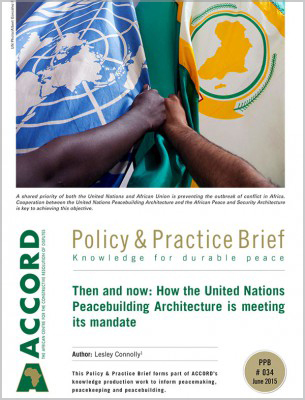 Available from: <http://www.unrol.org/files/2004%20report.pdf> [Accessed 29 October 2015]. Vambe, Maurice T. 2012. Zimbabwe genocide: Voices and perceptions from ordinary people in Matabeleland and the Midlands provinces, 30 years on. African Identities, 10 (3), pp. 281–300. Villa-Vicencio, Charles 2004. Reconciliation. In: Villa-Vicencio, Charles and Erik Doxtader eds. Pieces of the puzzle. Cape Town, Institute for Justice and Reconciliation. Volkan, Vamik D. 2001. Transgenerational transmission and chosen traumas: An aspect of large-group identity. Group Analysis, 34, pp. 79–97. Weingarten, Kaethe 2004. Witnessing the effects of political violence in families: Mechanisms of intergenerational transmission and clinical interventions. Journal of Marital and Family Therapy, 30 (1), pp. 45–59. Worthington, Everette L. 2001. Unforgiveness, forgiveness, and reconciliation and their implications for societal interventions. In: Helmick and Peterson. Moses Mzila was one of the three co-ministers of the Organ for National Healing and Reconciliation under the Government of National Unity (2009–2013). He was arrested in Lupane while attending a Gukurahundi event organised by a community.